Rocco Fazzari's inimitable take on the Prime Minister's self-inflicted wounds. Words by Tony Abbott. Tony Abbott, under pressure, has an advantage no other Liberal leader has enjoyed in nearly two decades. Rather than collecting supporters, the two highest-polling members of the government are rebuffing them. Deputy Liberal leader and Minister for Foreign Affairs Julie Bishop told backbenchers that Abbott had to be given the opportunity to recover. He has no rival for the leadership within his party. For this reason, Abbott's prime ministership is safe for now. The alternatives are not prepared to run against him. Support for Abbott within his party room has collapsed. It has been more than a year since the government has consistently been ahead in the polls and the Liberal backbench has lost confidence in Abbott's ability torecover. "We are in a dire position," says a Cabinet minister and Abbott ally. Attests a junior minister: "We are all talking to each other seriously about alternatives to Tony. Those conversations have not taken place before." And poll analyst and former Fairfax pollster John Stirton, observes: "They are easily the least popular new government in 40 years." At the exact moment that the party looked to Abbott to begin the new year with a political lift, he plunged it into dismay by knighting Prince Philip, a foreign baron, earl and duke, on Australia Day. "That hurts. Everybody wants Tony to succeed, but we find he has a fatal problem of judgment. He says he'll do better. People don't trust that he can do better. We are not Labor and we don't like bloodshed. But there's a real problem and it needs to be addressed." The Abbott government is a hollow edifice, still in place and still wielding power, yet without internal support and vulnerable to challenge. Yet despite his vulnerability, no one is plotting against the Prime Minister. He will face no challenge when Parliament resumes on February 9. The two leading contenders to replace Tony Abbott as Liberal leader are resisting the efforts of their colleagues to draft them to challenge him. Liberal MPs have approached Julie Bishop and Malcolm Turnbull to urge them to run for the leadership. Both are refusing to challenge their leader. Why? "When Labor changed leaders, we turned it into almost a capital offence," in the way the Coalition attacked the "chaotic and dysfunctional" Labor governments of Rudd and Gillard, said one Cabinet minister. "We can't be seen to commit the same crime." Rather than collecting supporters, the two highest-polling members of the government are rebuffing them. Deputy Liberal leader and Minister for Foreign Affairs Julie Bishop told backbenchers that Abbott had to be given the opportunity to recover. She told at least one backbencher that the Prime Minister's planned speech to the National Press Club on Monday was his chance to present a "compelling narrative" for the government and to begin to recover. Communications Minister Malcolm Turnbull told colleagues that when he decided in 2010 to remain in Parliament he made a serious undertaking not to damage Abbott, the man who tore him down as leader, in any way. He remained firm in that decision, his colleagues said. Like Bishop, Turnbull told his colleagues that the party needs Abbott to "reboot" and to succeed. The backbench is not assuaged. Some have reacted angrily to this sort of restraint. The familiar technique of pretending to deal with a problem – temporising – has emerged. The Financial Review's headline on Friday read: "Liberals give Abbott six months". Arbitrary deadlines are the emotionally satisfying resort of the impotent. The absence of a rival is a priceless asset for Abbott, but it is also uncomfortably revealing. As one cabinet member said: "None of the cabinet are undermining the leader. We have all been utterly solid. All the problems have been of his own making. He can't point to anyone else." There is a stark contrast between the solidarity of Abbott's cabinet and the despair on his backbenches. "The cabinet is rallying around him but the backbench is screaming for change," a minister said. Another said: "The base is agitated because it looks like we're on a screaming loser," and that is influencing the backbench. Abbott has been phoning backbenchers to argue for their loyalty. He has discovered that he needs urgently to lift his polling figures to win their support, according to well-placed sources. MPs are afraid of losing their seats at the 2016 election. If he can put the government ahead in the polls, he will have a strong case for remaining leader. He is not even half way through his three-year term. He does not even face a leadership challenger, at least not yet. But Abbott has decided he needs to act as if he did. This suggests that he does not trust his colleagues to remain loyal. Abbott is putting himself on poll-watch. This will be tough. Abbott is Australia's uniquely unpopular Prime Minister. He is the first unpopular Opposition Leader to win government in the 40 years of the Fairfax polling series. And he has never managed to build public support. Abbott, to his credit, has never sought to openly court popularity as Prime Minister, but he was hoping to win respect. Three national security crises arose, presenting him at least three chances to win the people's respect as a competent guardian of the national interest; the emergence of Islamic State, the shooting down of MH17 and the Martin Place hostage-taking. While he was acknowledged to have responded seriously, it was not enough. "The poll numbers suggest he and the government did experience some recovery, but the domestic negatives overwhelmed the international positives," Stirton says. Abbott sought respect through the federal budget, too. He did not try to please. He set a course for bracing, ideologically-based reform of universities and Medicare. He did not do this to win friends. But he did hope to be respected for his seriousness of purpose in the conservative cause. The budget armed Labor to campaign against Abbott's as being "the most unfair government in Australia's history". But it did not win him much respect. Now, he has cursed his quest for respect by inviting ridicule. In case the electorate had gotten over the red Speedos, Abbott gave the people a new source of merriment by knighting Prince Philip. 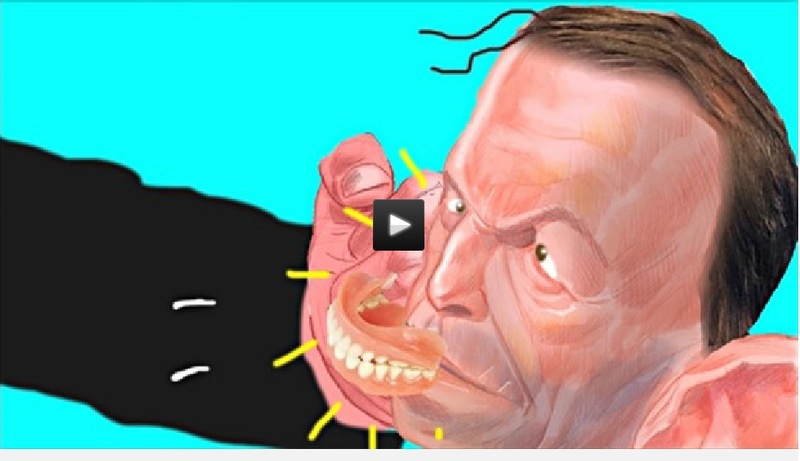 Even the conservative commentator Andrew Bolt, an erstwhile Abbott cheerleader, this week called him a laughing stock. Stirton summarises the short life of the Abbott government: "This government had no honeymoon, the worst start of any government in 40 years, and no recovery." A group of senior ministers is working closely with Abbott and his chief of staff, Peta Credlin, to try to salvage the government. Rupert Murdoch's public demand via Twitter that Abbott sack Credlin has only had the effect of cementing her more firmly in place. 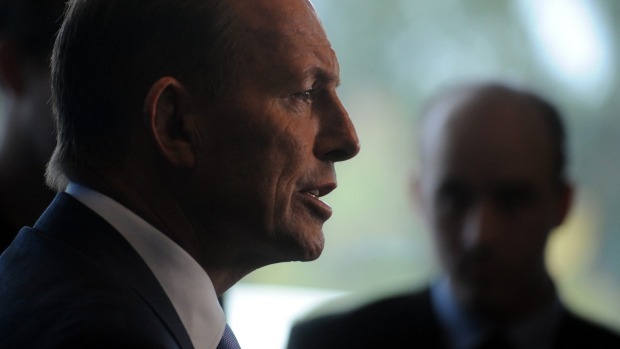 Abbott is fiercely loyal to his topmost adviser with the 20-hour work day. The group of senior ministers includes Treasurer Joe Hockey, Finance Minister Mathias Cormann, the new Social Services Minister, Scott Morrison, the new Minister for Health, Sussan Ley, Education Minister Christopher Pyne, and Turnbull himself, who is working on the newly announced e-government initiative for delivering services to the public online. Abbott will want to seem unconcerned about the polls. But he will be tailoring his words and actions to them, and he will be closely watching the effect. Paradoxically, any leader desperately attempting to snap out of a downward spiral enters the poll trap. The more he or she is seen to be trying to affect the opinion polls, the less credit the leader wins with the people. Political strategists, advisers and press secretaries often like to imagine that the electorate is a credulous collection of gormless ingenues who have never seen a politician trying to get out of trouble. This explains the dismissive name that most political operatives use when they discuss the electorate – "the punters." Is there any precedent for a turnaround of the scale Abbott is attempting? The average of the polls published this week gives Labor 54 per cent of the two-party preferred vote and the Coalition 46 per cent. In the 40 years of the Fairfax poll series, it has happened only twice that governments that have lagged as consistently as this government have managed to recover and win, according to Stirton. And both times they were led by John Howard. But Abbott is not Howard: "The difference is that Howard was not liked, but he was respected. Events this week have probably knocked a bit of respect off Abbott," Stirton says. "Howard was seen to be struggling but he never lost the respect of his own side." But, as several Liberals remarked privately, what choice does the party have? Hanging over Abbott's attempt to fight back is the spectre of the Rudd-Gillard era. A cabinet minister put it this way: "Changing leaders doesn't solve problems. If we change leader now, the new leader would face all the same problems. Then we'd replace them in 12 months. Then we'd certainly lose re-election. So we wouldn't change once, we'd change twice, and it would be the end of us." A junior minister, however, put the counter view: "The factual situation is different. Rudd was a well-liked national leader. People were shocked because they woke up one day to find that he was gone, without explanation. 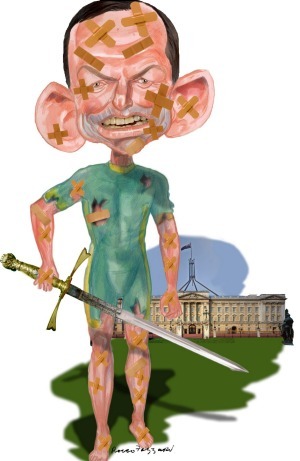 "Nobody would call Tony Abbott a beloved national figure. No one would be surprised if we got rid of him. And they would all know why." But without a challenger, Abbott lives to fight another day. He is surviving not on his strength but on an absence of alternatives. But he is surviving. The Liberal Party is setting a text book example of government loyalty to a PM who has most of the time shown great leadership that is unfortunately destroyed by a few brainless relatively harmless decisions that leave everyone dumbfounded. It boggles the brain to see how Labour could have got the same results as the Liberals however, the problem is that the Liberals and Abbott have yet to display the courage to engage in or seek a bipartisan approach to the most important policy decisions that will stand a change in government that is now as certain as Kevin Rudd never being prime minister again. Australia has an economic time bomb in excessive Federal Government employees in make work projects with excessive and economically destructive self serving legislation that is constantly increasing government costs that must be paid shrinking industries that are being economically strangled to death. The outlook is grim. Australia is burdened with largely selfish politicians who are incapable of any bipartisan policy development that might remove the power of the few independents that now hold controlling cards for their own self interests.